A graduate of Queen’s University Law School, one of the country’s leading law faculties, Daniel commenced practicing criminal law more than a decade ago at Pinkofskys LLP ‐ Canada’s largest criminal defence firm. He opened his own firm in 2008. Daniel is a seasoned and highly skilled criminal defence lawyer. With his office located in close proximity to several key courthouses in downtown Toronto, he routinely represents clients charged with everything from domestic assault and drug possession, to impaired driving, sexual assault and murder. Daniel has appeared at all levels of court in the Province of Ontario, including Ontario Court of Justice, Superior Court of Justice, the Ontario Court of Appeal and the Supreme Court of Canada. Much of Daniel’s legal practice is focused on representing people who are strangers to the justice system. He quite often represents successful professionals who have found themselves in unfortunate and unfamiliar circumstances. Daniel Brown is a widely recognized authority on defending sexual offence allegations. 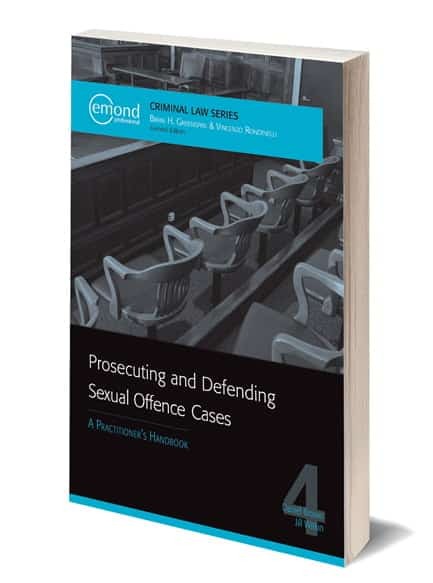 His legal textbook on Prosecuting and Defending Sexual Offence Cases is sold across Canada and is often consulted by judges, prosecutors and other defence lawyers working on similar cases. In his capacity as Vice President of the Criminal Lawyers Association, Daniel has been at the forefront of efforts to improve the criminal justice system and to educate the public about its strengths and weaknesses. He is also a member of the Law Society of Ontario, The Advocates Society, The Toronto Lawyers Association, the Ontario Bar Association and Innocence Canada (Formerly the Association in Defence of the Wrongly Convicted). 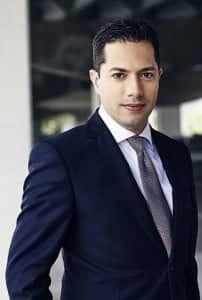 Daniel acts as a mentor in Ryerson University’s Law Practice Program and has been a frequent guest lecturer at Queen’s University Law School, University of Toronto Law School and York University’s Osgoode Hall Law School. As an expert panelist and speaker at conferences hosted by the Crown and defence bar, the Law Society of Ontario, Criminal Lawyers Association, Ontario Bar Association, and The Advocates Society, Daniel has discussed topics ranging from developments in criminal law procedure and forensic science to gang culture. In addition, Daniel is a first stop for journalists seeking facts or insightful commentary about the criminal justice system. He has appeared on Canada AM, CBC Metro Morning, CP24, Global News, CITY TV News and eTalk Daily, as well as the Toronto Star, The Globe and Mail, National Post and Toronto Sun. As a result of his interactions with the media, Daniel has acquired invaluable knowledge when it comes to shielding a client’s case from publicity or, when media coverage is inevitable, presenting his clients in a fair and positive light. Daniel has written scholarly articles for legal journals and contributed commentaries for The Toronto Star on a wide range of criminal law topics. In addition to defending criminal cases, Daniel provides advice and counsel to victims of crime, witnesses and individuals who are under investigation by police. The majority of Daniel’s clientele is in Greater Toronto, however, he regularly conducts bail hearings, trials and appeals throughout Ontario, including Newmarket, Oshawa, Brampton, Burlington, Oakville, Milton, Barrie, Hamilton, Guelph, Kitchener‐Waterloo, Bradford and Orangeville. You can contact Daniel Brown at 416-297-7200 or send a text message to his cell phone at 416-898-2097 to discuss how he can assist you with your criminal law related problem.